History may repeat itself, but every show gets cancelled eventually. After a decades-long run, it may be that Quebec’s PQ vs Liberal show, and everything that went along with it, could be cancelled due to low ratings. The Action Democratique promised to upend this programming a decade ago, but the old ying-yang of Quebec politics proved resilient. You had to ask, how long could everything take a back seat to one issue? There have been other battles, but Separatist vs Federalist is forever the framework. Surely, some day, some thing had to give. Perhaps it gave Monday night. The sovereignty movement has never suffered a loss like the one this week: the ’95 referendum was a squeaky victory for Non (thanks to tens of thousands of Non voters denied their ballots). But it was so close! It felt like a coin flip. Quebec nationalists couldn’t help but feel their time would come. Which led to Le Shove. Cause and effect are never clear in politics. Except here. Instead of the PQ majority expected just weeks ago, the Liberals won big time, the PQ hit record lows (since their first election) and the new player, CAQ, almost equalled the PQ. Why is this loss different from others? Because never has the rejection of sovereignty been so strong and clear. Paul Wells spells out the policy problems the PQ face here. He boils it down to this: three policy planks so define the party to their supporters, they cannot be pulled back. They are the most important issues for the PQ’s last voters. But they piss everyone else (i.e. the voting majority) off. 1) The party is built on the premise of seeking independence. 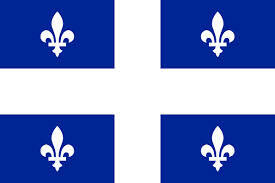 If they acknowledge Quebecers reject independence, what do they exist for? 2) The Secular Charter. Too much Charter. With the amount of daylight this issue received in the campaign, the mean-spirtidness of it shone through all of Lisee’s poetry. 3) The freeze on education fees. Terribly important to Quebec and Montreal students. Rejected by everyone else in the province. I don’t believe 2 and 3 are so defining to the PQ that they can’t be walked back. If George HW Bush could raise taxes, well… But #1 is a tough one to hide. There is also a demographic problem. A few years ago, I had personally become pessimistic on independence (that is, as a federalist Quebecer, I expected it to come about) after a Oui friend explained to me how dead Canada was among Quebec’s youth. It just had no place in their hearts. So, it was inevitable that youth would get their way, in time. My friend was right. Quebec’s young people are less connected to Canada than previous generations (after decades of Canada being set up as an enemy, what a surprise!). Young Quebecers, by and large, don’t feel pride or passion in Canada. The problem for the independence movement though, is most Quebecers don’t need to love Canada to like it. It works for them, maybe like EU works for some Germans. They don’t love it, it doesn’t define them. But they like it, it works practically for them, and perhaps they feel something good in the idea of diverse peoples working together. So there’s that. Of course, this pragmatic federalism isn’t a guarantor of Canada’s unity. But the strength of it, measured in 2014, is impressive. The other demographic problem is that there aren’t as many young Quebecois as there used to be. Quebec has a lower than replacement birth rate. On the other hand, it takes in about 55,000 immigrants a year. 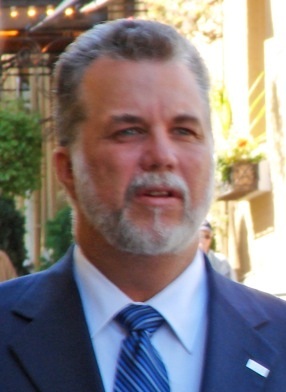 For years, the PQ and BQ have supported immigrant candidates, and nurtured relations with immigrant communities, trying to overcome Parizeau’s “money and the ethnic vote” excuse in ’95. All that progress blew up with the Charter. Quebec’s immigration is based to some extent on language. Unlike the rest of Canada, where immigrants are mostly of East Asian origin, Quebec immigrants are predominantly North African or Arab, and familiar with French. These communities are predominantly Muslim, and some of them wear, or have family members who wear, hijabs, burqas, niqabs, etc. These communities have been hustled from the PQ tent with the Charter, which attempts to banish these religious symbols from public life. I do think the PQ can walk back their Charter fine-print and sales job to bring themselves on-side with general public opinion; a kinder, gentler Charter (as the CAQ and PLQ have each supported at some time) might go over with a majority and still appease the base. But I don’t think the immigrant communities will forget this. For a long time. 55,000 is about 2/3 of a per cent of Quebec’s 8,100,000+ population, per year. Seems small, but that’s a few percent growth between elections. In ten years, that’s a whopping change to voting patterns, and it will be overwhelmingly antagonistic to the PQ. So where does the PQ go? 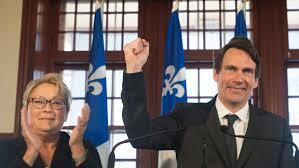 With Drainville or Lisee as next leader, and double-down on the Charter? Or with super-capitalist PKP and further bleed votes to Quebec Solidaire on the left? I remember the challenges working as a Conservative communications strategist in Quebec a decade ago. We faced voters that were suspicious of the party, and suspicious of Harper. But we believed that, in much of Quebec, Conservative policies and ideas could play well if we explained them. I can’t imagine where the PQ goes to get out of this mess. The better they explain where they stand, the less support there is.